Using NASA’s Kepler Space Telescope, astronomers have discovered the first Earth-size planet orbiting in the “habitable zone” of another star. The planet, named “Kepler-186f” orbits an M dwarf, or red dwarf, a class of stars that makes up 70 percent of the stars in the Milky Way galaxy. 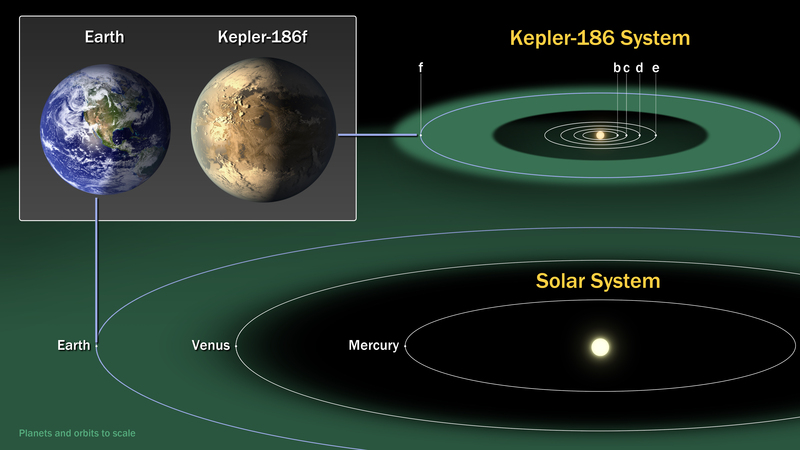 The discovery of Kepler-186f confirms the long held theory that planets the size of Earth exist in the habitable zone of stars other than our sun. This means that with similar climate profiles like earth, life similar to earth may exist elsewhere in the universe. The “habitable zone” is defined as the range of distances from a star where liquid water might pool on the surface of an orbiting planet. While planets have previously been found in the habitable zone, the previous finds are all at least 40 percent larger in size than Earth and understanding their makeup is challenging.